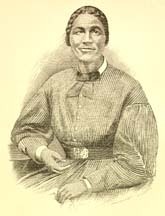 Bethany Veney The Narrative of Bethany Veney: A Slave Woman. The Narrative of Bethany Veney: A Slave Woman. Worcester, Mass: [s.n.] ; (Boston : Press of Geo. H. Ellis), 1889.